Seven months on, it is far from clear that the country is ready for Corbyn’s Labour. And, as many of the party’s local government figures will privately admit, it is far from clear that enough of the local electorate is ready for Labour. The council elections take place two weeks tomorrow, 11 months on from Theresa May’s personally humiliating general election campaign. It has been a tortuous year for the prime minister. Revelation of the callous handling of the deportation of Windrush migrants is just the latest mishap to befall her administration after she lost her majority. As LGC has frequently pointed out, the government’s preoccupation with Brexit has meant too little ministerial energy has been devoted to rejuvenating austerity-battered local public services; there is no sense of a clear plan for reviving Britain. In a distinctly non-localist tweet Mr Corbyn yesterday urged the electorate to “send the Tory Government a message at the local elections”. However, it could be that the electorate is equally willing to send Mr Corbyn a message after weeks of turmoil in his party. Labour’s antisemitism rows simply will not go away; Mr Corbyn and many of his supporters have seemed to stoke the flames at every opportunity. Meanwhile, the Labour leader has hardly been the model of a resolute determined premier in his responses to Salisbury and Syria. At least up until the Tories’ self-inflicted Windrush deportations scandal, Labour has not made the political running. There is a sense that – without seeking to use a pun – the momentum is slipping away from Labour. It is the misfortune of local leaders that all too often, whatever their merits, it is national issues that impact most on local polls. A weak national leader hinders them. To use one example, Barnet LBC has a Conservative majority of one, making it just about Labour’s easiest victory target. However, it so happens that Barnet has proportionately the highest Jewish population in the country. The antisemitism row has shot Barnet’s local Labour group in the foot. In their local elections analysis for LGC, published just two weeks ago, professors Colin Rallings and Michael Thrasher suggested Labour “could be on course to make about 200 gains (the majority of them in London)”. This now looks somewhat optimistic for Mr Corbyn’s party. And if – as many believe – Corby-mania swept Labour to, er, second place in last year’s general election, it is not necessarily the case that this will be as prevalent in the local polls. A recent Electoral Commission analysis of elections held last year found “strong evidence of a continuing lack of engagement, particularly among young people, with the local elections”. Nearly half of 18-34-year-olds said they lacked sufficient information to make an informed choice on who to vote for. It should be noted that Labour did far worse in last year’s local elections than it did in the general election just weeks later. Mr Corbyn has had a testy relationship with many Labour councillors. All too often it seems the national leadership is at conflict with its council leaders who know that it is only through pragmatism they can exert influence. Labour’s national executive committee intervened in Haringey LBC to undermine leader Claire Kober’s planned use of a joint venture to spearhead regeneration in a blatant breach of local autonomy. This was followed by its attempts – later dropped – to force the moderate Dan Jarvis to relinquish his Westminster seat in order to contest the mayoralty of South Yorkshire CA. Dare we say it, there would have been no attempt to create this rule were Mr Jarvis of a similar political bent to his national party leader. The regular pattern of British politics is for oppositions to support devolution, only to be reluctant to cede power when they finally win it. Under Mr Corbyn, Labour has immediately adopted a distinctly centralist mindset. Even should we get the Corbynista dream – a Momentum council, as may well be the case in at least Haringey LBC – the bask of glory will be short-lived. 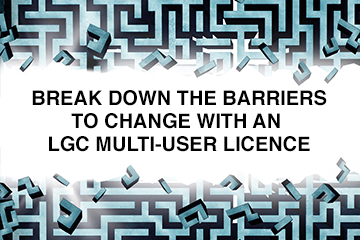 As Tony Travers wrote for LGC yesterday, a Momentum administration would be as constrained as any other type of council by the regulatory, legal and financial chains forced on local government. Mr Corbyn has talked up expectations but this year’s polls could well quell his momentum. Labour MPs are already furious at his handling of antisemitism and he may find he has more local enemies at the end of the local elections campaign.